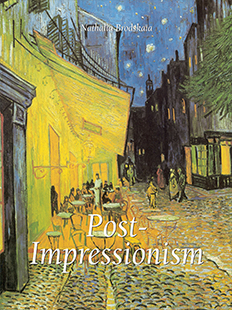 The Post-Impressionist period was one of solitary painters; Gauguin, Sisley, Cézanne, Van Gogh etc… “There is no longer a unique school. There are a few groups, but even they break up constantly. All these movements remind me of moving geometrical pieces in a kaleidoscope, which separate suddenly only to better come together again. They move apart then get together, but, nevertheless, stay in the same circle – the circle of the new art.” (Emile Verhaeren). Nathalia Brodskaïa, curator at the State Hermitage Museum, describes with her own unsurpassed talent the different paths taken by the heirs of Impressionism towards Modern Art.